Situated in the charming market town of Thatcham, this proposed Retirement living plus development has everything you'll need to make the most of your retirement. Offering support and additional care services to benefit your way of living, you can be sure to enjoy your independence exactly the way you desire. With a choice of stunning one and two bedroom apartments available, homeowners will benefit from carefully designed bathroom suites, kitchens and apartment details, created to make everyday use as easy as possible. High quality touches and intelligent appliances feature throughout and balconies in selected apartments will offer lovely views of the surrounding area. Every interior looks and feels quality, with tasteful decor and colour-schemes giving residents a calming, comfortable space to make their own. An on-site bistro-style restaurant provides residents with the choice of freshly cooked food and a three-course lunch every day, which guests and families are most welcome to join. In fact, we offer stunning on-site guest suites, perfect for friends and family to stay overnight and spend more time together. Retirement Living plus development also offers residents with domestic assistance services that can be tailored to suit your exact needs. Every Retirement Living plus homeowner will receive one hour domestic assistance per week. A dedicated Estate Team will be on-site 24 hours a day to help you with your requirements, while our video entry system and 24/7 emergency call system will ensure your safety. A lovely indoor communal area will be the perfect place to unwind and socialise with friends, as well as make the most of the constant supply of hot tea and coffee. 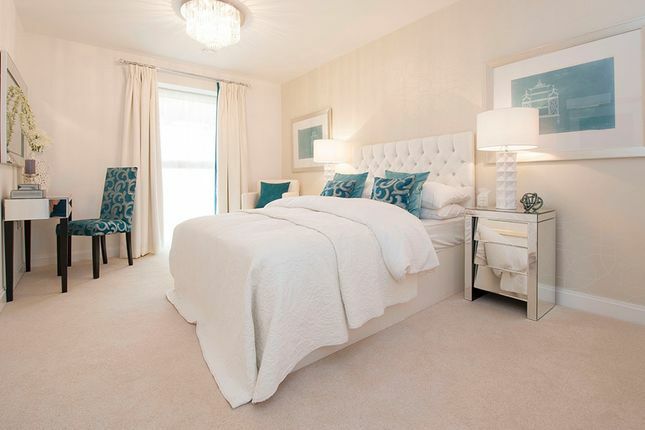 Surrounded by nature reserves, greens and parks, this development is just 14 miles from Reading and 15 miles from Basingstoke, making it ideal for those who enjoy seeing the sights of a city. However, a variety of shops, attractions and beautiful nature or historic walks mean that staying close to home is just as enjoyable. With its main frontage on The Moors Road, and sitting just on the edge of The Broadway retail core, you'll be in an excellent location with places to eat, stock up on essentials and run errands all within walking distance. A Waitrose supermarket can be reached in under 5-minutes on foot, or you can visit the local Costa Coffee, the Post Office or Bank in the same amount of time. Additionally, you can treat yourself to the produce and menus from local cafes, shops and restaurants or travel a little further to the charming pubs that are home to the nearby countryside. There are plenty of relaxing strolls to partake in nearby, and Thatcham Lake and the Nature Discovery Centre will provide you with gorgeous scenery and gentle exercise. There are a number of rivers and lakes to explore too, tucked away with the lush fauna, flora and wildlife of the local area. For the more adventurous, you can head to Bucklebury Farm & Deer Safari Park which is an ideal spot for visiting grandchildren and family. There are also quality golf courses within a short driving distance including Donnington Valley Golf Club and Newbury & Crookham Golf Club. With roots that can be traced back to 8400 bc, Thatcham is a beautiful market town with a thriving community atmosphere. Shops, fitness centres, schools, cafes and medical centres can all be found here, while a library and community centre are home to a number of groups and organisations to get stuck in to. Getting around Thatcham and its neighbouring towns is a breeze and there is a variety of convenient road links and public transport nearby. The train station is a 20-minute walk from the development or 10-minute bus journey and you can reach Reading, Maidenhead and Slough in under an hour by train. Property descriptions and related information displayed on this page, with the exclusion of Running Costs data, are marketing materials provided by McCarthy & Stone - Thatcham AL, and do not constitute property particulars. Please contact McCarthy & Stone - Thatcham AL for full details and further information. The Running Costs data displayed on this page are provided by SmartNewHomes to give an indication of potential running costs based on various data sources. SmartNewHomes does not warrant or accept any responsibility for the accuracy or completeness of the property descriptions, related information or Running Costs data provided here.